Jan and I would be at Doorstep Luxury to meet you this Wednesday to share more about our latest DUSK Jewelry Layering Collection at 163 Telok Ayer Street. Drop by to hear about the inspiration behind this range and also check out our latest pieces that are exclusive for this event only! 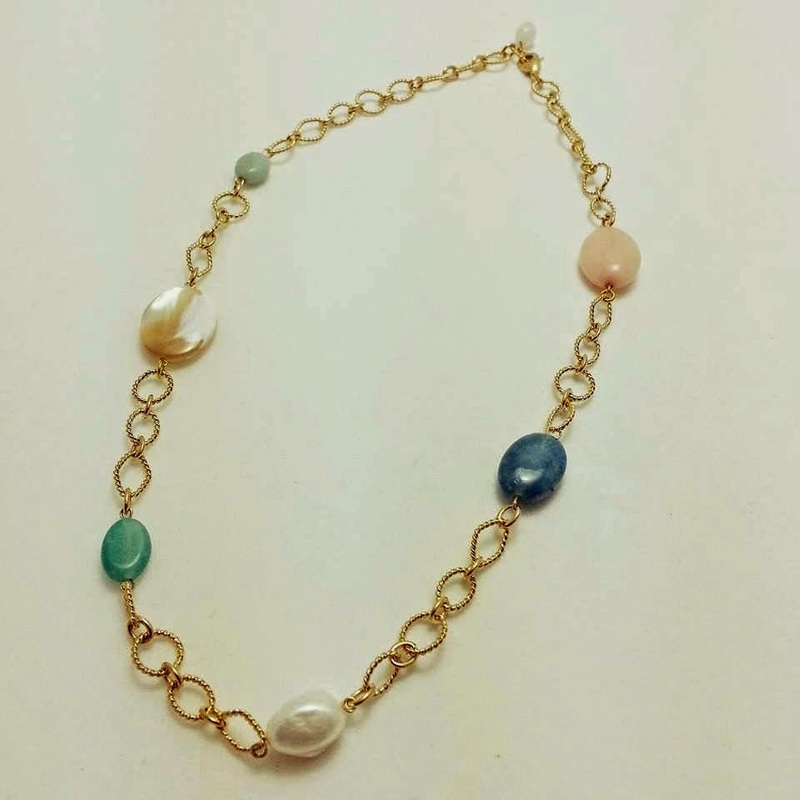 Made with dyed jade, chalcedony, rose quartz, shell and pearls and specially selected for their soothing and pleasing colour combination. 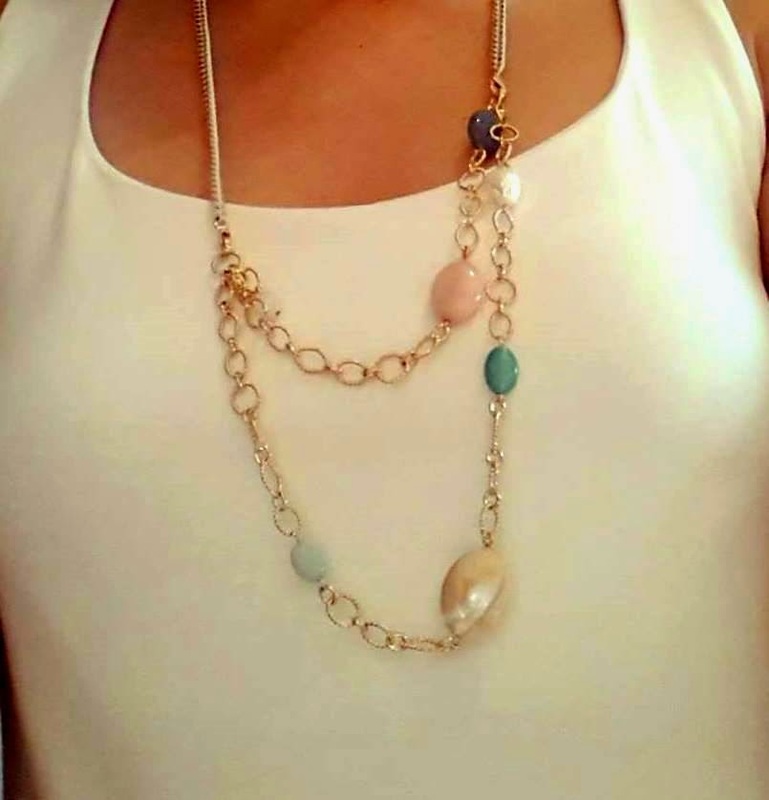 A layered look when you prefer something more statement to jazz up your dressing. 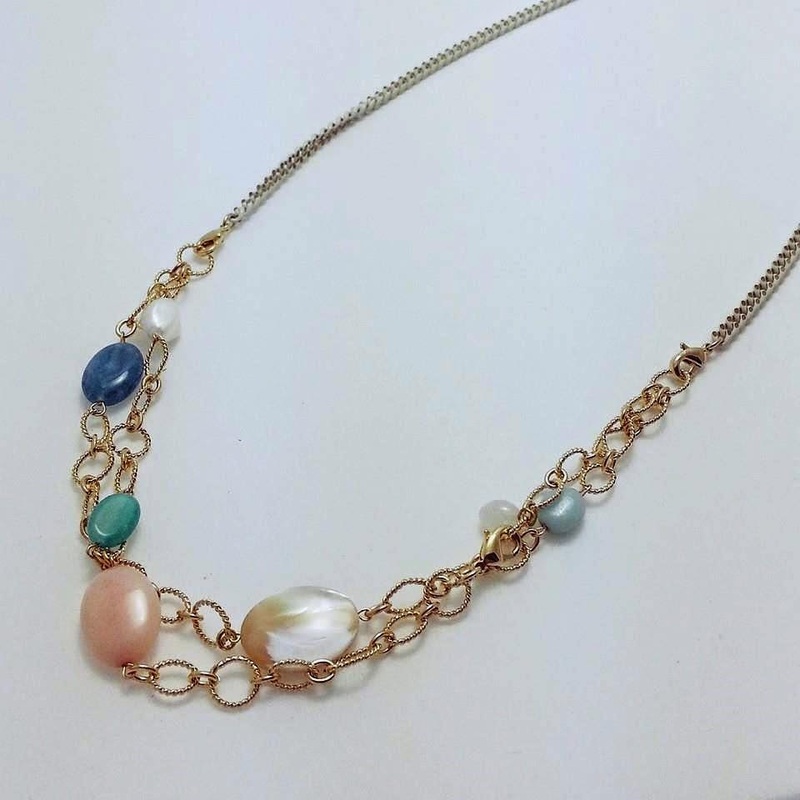 A simpler and classy style to wear on its own. Yes, there 5 different ways that you can wear it, according to your mood and style. 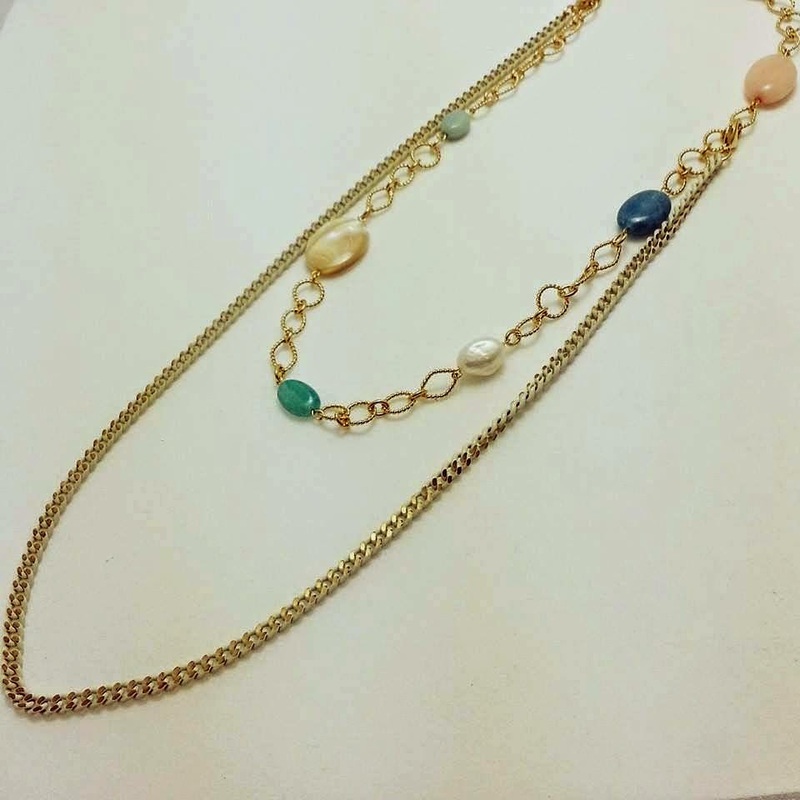 The 2 necklaces can be worn separately or together. 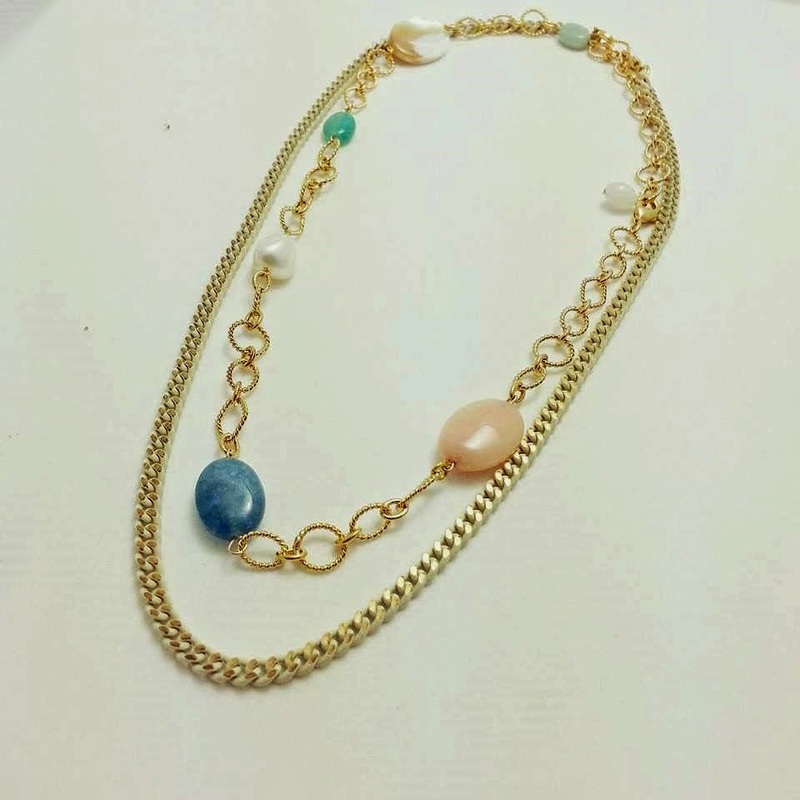 What's more, they can even be attached to a suitable existing DUSK Jewelry that you already owned. If you find this exciting, do remember to drop by this Wednesday. 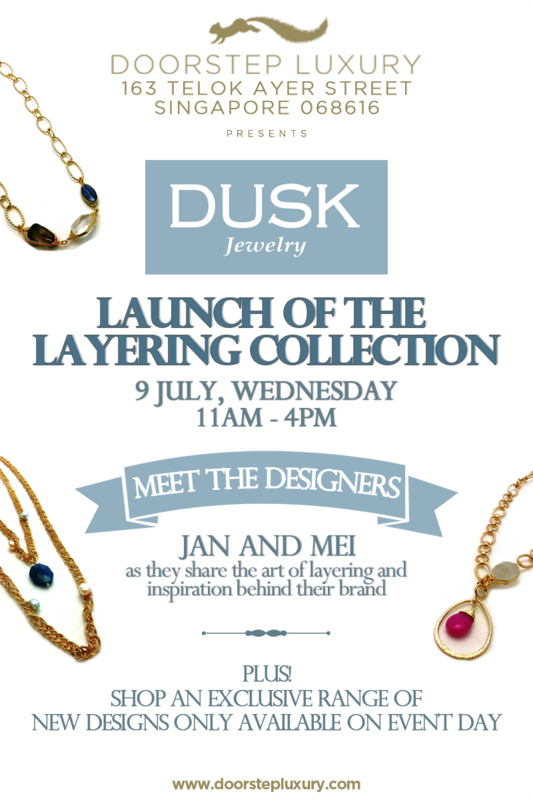 We're really excited to meet you and share more about DUSK Jewelry and get to know you too!